What is 2064 V 3 Pill? Pill with imprint 2064 V 3 is white, round and has been identified as Acetaminophen and codeine phosphate 300 mg / 30 mg. It is supplied by Vintage Pharmaceuticals Inc.
Labeler / Supplier: Vintage Pharmaceuticals Inc.
2064 V 3 pill contains acetaminophen 300 mg and codeine 30 mg in strength. 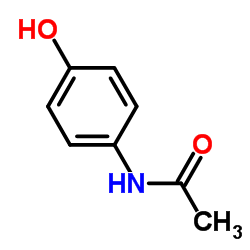 Acetaminophen, 4ʹ-hydroxyacetanilide, a slightly bitter, white, odorless, crystalline powder, is a non-opiate, non-salicylate analgesic and antipyretic. Codeine phosphate, 7,8-didehydro-4,5α-epoxy-3-methoxy-17methylmorphinan-6α-ol phosphate (1:1) (salt) hemihydrate, a white crystalline powder, is a narcotic analgesic and antitussive. Drug class: These compounds belong to the class of organic compounds known as 1-hydroxy-2-unsubstituted benzoids. Drug class: This compound belongs to the class of organic compounds known as morphinans. These are polycyclic compounds with a four-ring skeleton with three condensed six-member rings forming a partially hydrogenated phenanthrene moiety, one of which is aromatic while the two others are salicylic. High levels of serotonin in the body–agitation, hallucinations, fever, fast heart rate, overactive reflexes, nausea, vomiting, diarrhea, loss of coordination, fainting. Long-term use of opioid medication may affect fertility in men or women. It is not known whether opioid effects on fertility are permanent. Acetaminophen/codeine is used for the treatment of pain, osteoarthritis, and cough. 2064 V 3 pill contains a combination of acetaminophen and codeine and due to the presence of codeine; this medication comes under a controlled substance and cannot be used without a prescription. In Australia and the United States, it comes under schedule 2 which means the controlled medications that is used for certain cold and flu and schedule 3 and schedule 4, where the medications contain the quantity of codeine more than 15 mg. Such medications have high potential for abuse as use of such medications may cause severe psychological and physical dependence. In Canada, it is available as OTC (over the counter) medication. In the United Kingdom, this medication is available as OTC and also comes under class P which means a medication that legally requires a prescription to be sold. Generic acetaminophen/codeine is covered by most Medicare and insurance plans, but pharmacy coupons or cash prices may be lower. The lowest GoodRx price for the most common version of acetaminophen/codeine is around $7.00, 53% off the average retail price of $15.05. Opiate receptors are coupled with G-protein receptors and function as both positive and negative regulators of synaptic transmission via G-proteins that activate effector proteins. Binding of the opiate stimulates the exchange of GTP (guanosine triphosphate) for GDP (guanosine diphosphate) on the G-protein complex. As the effector system is adenylate cyclase and cAMP located at the inner surface of the plasma membrane, opioids decrease intracellular cAMP by inhibiting adenylate cyclase. Subsequently, the release of nociceptive neurotransmitters such as substance P, GABA, dopamine, acetylcholine, and noradrenaline is inhibited. Opioids also inhibit the release of vasopressin, somatostatin, insulin, and glucagon. Codeine’s analgesic activity is, most likely, due to its conversion to morphine. Opioids close N-type voltage-operated calcium channels and open calcium-dependent inwardly rectifying potassium channels. This results in hyperpolarization and reduced neuronal excitability. Acetaminophen comes under the class of weaker analgesics. This drug increases the pain threshold by inhibiting the isoforms of enzyme cyclooxygenase, COX1, COX2, and COX3. These enzymes are involved in prostaglandin synthesis. Acetaminophen does not inhibit the COX enzyme in the peripheral tissues, just like other NSAIDs, therefore also not shows the anti-inflammatory effects at the periphery. As per some studies, Acetaminophen inhibits the COX3 which is different from COX1 and COX2, still, the exact mechanism of acetaminophen is not clear. Acetaminophen also possesses antipyretic properties which are caused by its direct effects on the heat-regulating centers of the hypothalamus. Can 2064 V 3 pill cause dependence? Acetaminophen with codeine combination is present in the pill 2064 V 3. This medication exposes patients and other users to the risks of opioid addiction, abuse, and misuse, which can lead to overdose and death. One should assess each patient’s risk prior to prescribing acetaminophen with Codeine tablets, and monitor all patients regularly for the development of these behaviors and conditions. Codeine shows approx 90% bioavailability followed by oral administration. After 60 minutes of administration, it reaches maximum plasma concentration. The apparent volume of distribution is 3-6 L/kg. 7 to 25% of this medication binds to the plasma proteins. It undergoes hepatic metabolism. 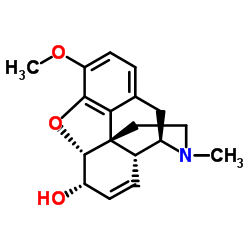 Codeine is a prodrug, itself inactive, but demethylated to the active morphine by the liver enzyme CYP2D6 to morphine. 90% of the total dose of codeine is excreted through the kidneys, of which 10% is unchanged codeine. Plasma half-lives of codeine and its metabolites have been reported to be approximately 3 hours. After oral administration of acetaminophen, its metabolism and excretion are rapid and almost complete from the GI tract. It will take 4 hours for complete absorption of the drug and is relatively distributed throughout the body fluids. Cytochrome P450 microsomal enzyme is responsible for the metabolism of the acetaminophen in the liver. About 80% – 85% of the acetaminophen in the body is conjugated principally with glucuronic acid and to a lesser extent with sulfuric acid and cysteine. Within the 1st day, 90% to 100% of the drug is recovered in the urine after hepatic conjugation. How long 2064 V 3 stays in your system? 2064 V 3 contains codeine and acetaminophen combination, both of which have a half-life of approximately 3 hours therefore it stays in your system for 1 to 2 days and will eliminate from the body after that period of time.